Chinese company Lenovo is launching a laptop targeted at employees of small businesses. 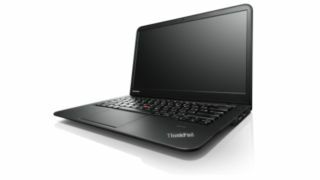 The ThinkPad S431, which will be available in the UK from June, houses a third generation Intel processor, which Lenovo says is 15% faster than previous generations and provides up to nine hours of battery life. It also features Lenovo's OneLink technology, which allows users to connect the ThinkPad OneLink Dock with a single cable for dedicated video, additional USB 3.0 ports and Gigabit Ethernet, all while charging the device. On the aesthetics front, a small front bezel allowed Lenovo to fit a 14-inch LCD screen with multi-finger touch into the S431's 13-inch frame. All four sides of the laptop have bevelled edges, which the company says gives the laptop a 'floating' effect. Lenovo says the S431's small stature makes it a suitable option for employees at small companies with a BYOD policy who may take it home for personal use. The laptop, which is Windows 8 ready, also features dedicated shortcut keys for use with Microsoft's latest operating system. Lenovo has managed to defy a global decline in PC shipments in recent quarters. According to figures from market watcher IDC, Lenovo captured 15.3% of the global PC market in the first quarter of 2013, while overall shipments fell 13.9% year-on-year to 76.3 million - its sharpest drop for 19 years. IDC said Lenovo was a 'notable exception' of the top five vendors during the quarter because it was the only one whose sales did not shrink year-on-year.